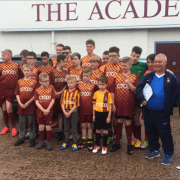 The EFL Trust’s aspirations of using the ‘Power of Football’ to change lives and create a legacy, has been represented through a fantastic project run by Bradford’s Disability Football Club (BDFC). 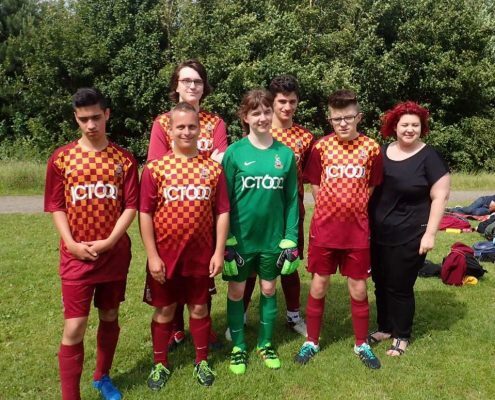 The disability club formed in 2002, provides access to football for anyone of any age, both male and female, with any disability whether it is learning or physical. Since the club began it consisted of just eight players and now there are over a hundred registered players at the club. The club has a wealth of provisions available to its members and their families, from training to short breaks, and there is something to ensure all needs are catered for within all age groups and disabilities. BDFC’s ‘Short Breaks’ project offers carers and disabled people respite and opportunities to develop independence. A short break can be as simple as a two hour trip to the local cinema, a short break holiday or an international tournament, as well as stadium visits to Premiership teams, a weekly provision of tickets to watch Bradford City, day/weekend outings to Flamingo Land, Cadbury’s World and Wembley. Ryan Siddal, a participant of the project, needed a kidney transplant at 5 years old and spent a lot of his early life in hospital. On July 21st 2006, his Dad donated a kidney to him and last year he approached his 10 year anniversary. Ryan, now aged 16, is still closely monitored and suffers with anxiety, foot pain and asthma. After attending a BDFC session one Friday, it has changed his life and gave him confidence. His mum said: ”Ryan was a very shy boy who found it hard mixing with other children and speaking to adults and due to being poorly he had a lot of time off school. After a few weeks on the Short Breaks project he gained confidence and has made friends with boys and girls at the training sessions. ”He talks to his team mates and adults now and that was one thing he would never do. 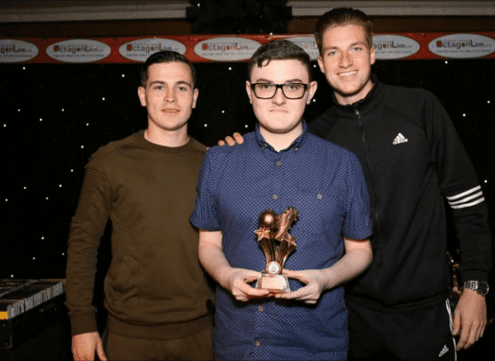 He’s also taken part in tournaments and won medals and trophies with his team mates, and last year won a Player Of The Year award. We are so proud of him. Katy Greenwood, a young person who has been on the Short Breaks programme for over 5 years, was a shy girl that hardly spoke to anyone when she first attended the club; she is now really confident, outgoing and a popular member. 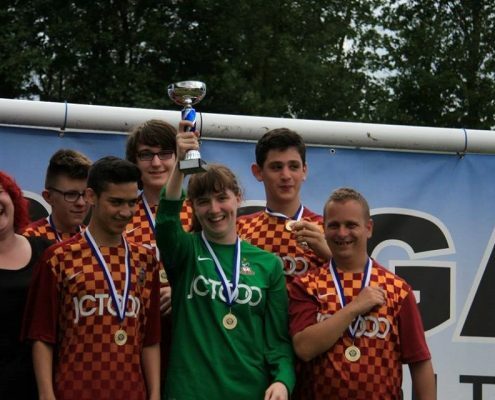 She plays for Bradford City’s disability team and has won lots of junior tournaments as well as ‘Goalkeeper Of The Year’ at BDFC’s annual presentation night. As she grows in confidence she is hoping to get the chance to play for Bradford City’s women’s team, who play in the National Women’s League. 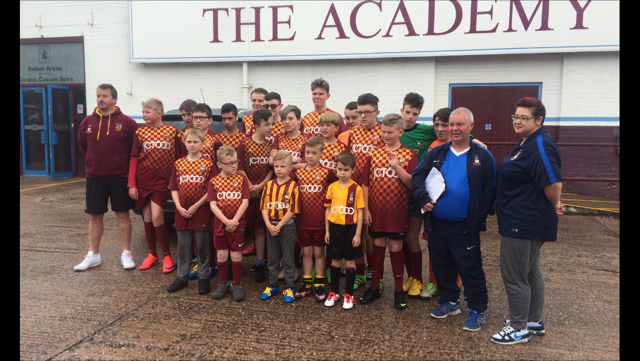 Visit www.bradforddfc.co.uk to find out more about Bradford City FC Community Foundation’s partners Bradford Disability Football Club.